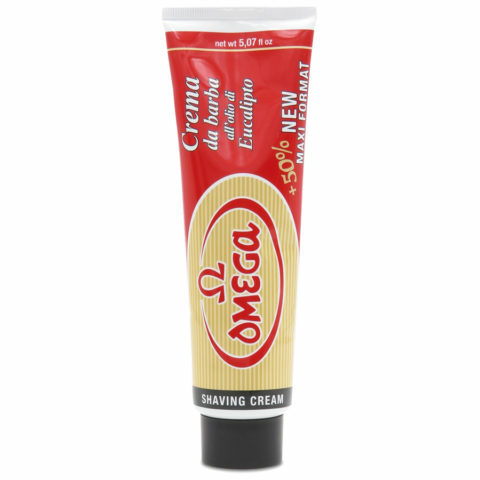 Omega shaving cream with eucalyptus oil in tube 150 ml. 24 pcs per box. Omega shaving cream with eucalyptus oil. 150 gr bowl with screw top and freshness saver cap. 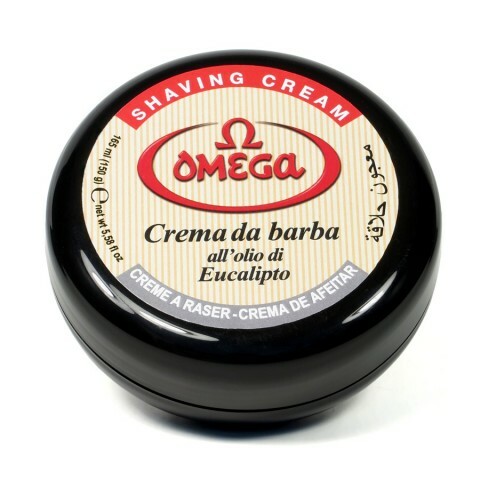 Classic Omega shaving cream with eucalyptus oil in bowl 150 ml. 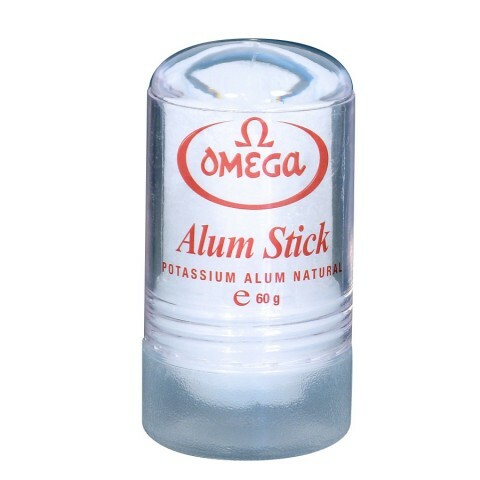 Omega Alum stick 60 gr. 6 pcs. carton box. Eucalyptus oil Omega shaving cream (150g) and pure bristle shaving brush with holder, wooden handle. 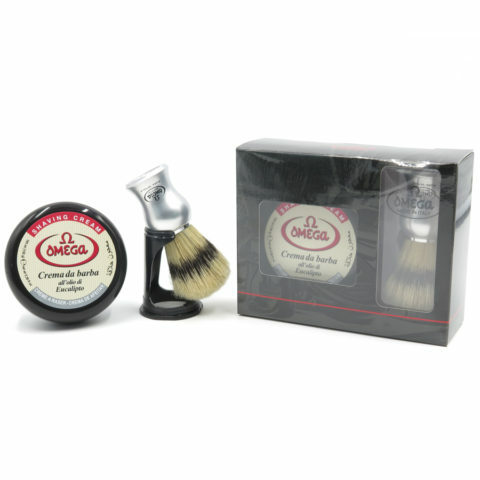 Eucalyptus oil Omega shaving cream (150g) and pure bristle shaving brush with holder, red ABS plastic handle. Eucalyptus oil Omega shaving cream (150g) and pure bristle shaving brush with holder, satinized abs handle. 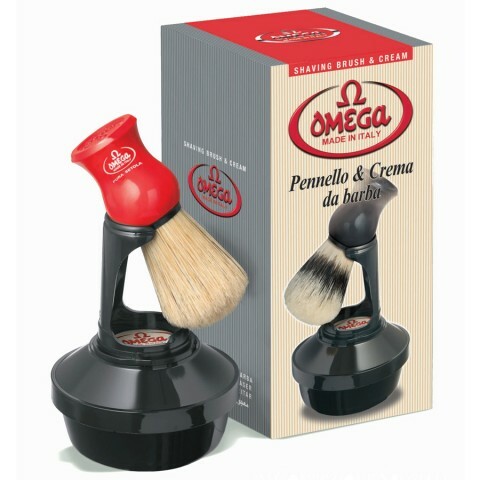 Eucalyptus oil Omega shaving cream (150g) and pure bristle shaving brush with holder, black ABS plastic handle. 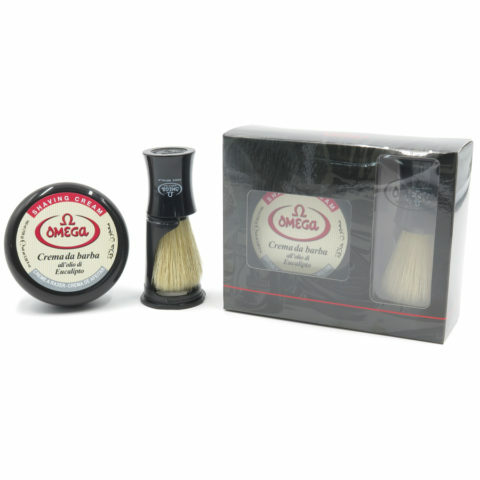 Eucalyptus oil Omega shaving cream (150g) and pure bristle shaving brush with holder, cream abs handle.